Many of us have dreamt of starring in a film next to our favourite actors so I imagine quite a few will jump at the opportunity to act next to none other than Tom Hardy. The 40-year-old is one of the most popular actors in the world after he proved his talent in films such as The Dark Knight Rises, Dunkirk, Mad Max: Fury Road and Bronson. His next project sees him take on a role like none other, infamous American gangster Al Capone in the upcoming biopic Fonzo. If you weren’t excited enough already for the film, well now you have the chance to star in it as casting directors have released an open casting call. On the website Project Casting, an advert has been posted calling on ‘actors, models and talent’ to audition to work on the movie which is filming in New Orleans, Louisiana from early April. Casting Sicilian and Italian American looking boys and girls (six plus years old) to portray Al Capone’s grand kids. We are also looking for twins! This works Monday April 2 to Friday April 6. Due to size restrictions, please do not submit if taller than 5’1″. Please include child’s age in the email submission. Casting 20’s to 70’s Sicilian and Italian American looking men and women to portray Al Capone’s family members. This works Monday April 2 to Friday April 6. Casting 20’s to 40’s Sicilian and Italian looking men (18 plus years old) to portray Al Capone’s goons. This works eight days from April to May. Casting 30’s to 70’s Cuban and Hispanic looking women (18 plus years old) to portray Al Capone’s Cuban staff. This works Monday April 2. Casting 30’s to 70’s Cuban and Hispanic looking men (18 plus years old) to portray Al Capone’s Cuban groundskeepers. This works five days in April. 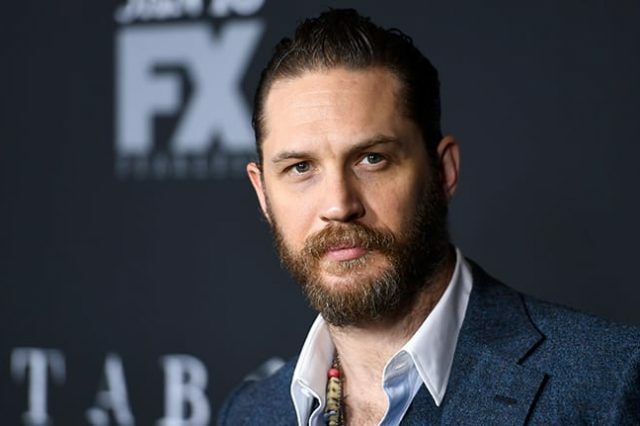 Although there is no guarantee you will be in the same room as Hardy if you are cast, looking at the list of roles it appears you may be in with a good chance. Unfortunately if you fancy applying for a role, because the film is a 1940’s period piece you must not have a modern hairstyle, piercings, full beard, braces on teeth or an unnatural hair colour. If you are suitable producers state you will have to feel comfortable working in both exterior and interior scenes. Although the casting directors sure seem fussy, it really could be a once in a lifetime opportunity so it is worth applying. If you fancy giving it a shot, then you can send a current photo of yourself to [email protected] along with your legal name, phone number, measurements, notable visible tattoos and which role you are applying for. When it comes to the photo you should be the only person featured in the snap which is clear and well-lit. They are also asking for no filters so even though that dog one on Snapchat is cute, it may be best to avoid it this time.